Our service starts at only $15.00 per back yard per week, with no contracts to sign. We offer discounts to seniors and to clients with physical disabilities, including clients who are visually impaired and require the assistance of a guide dog. We are certain that you will find our fees reasonable and our work second to none. Click on any of the following headings to jump directly to that section. We accept cash, cheques, MasterCard or Visa. We are more than happy to offer Senior/Disability/Guide Dog discounts. Just ask! We will empty, sanitize and refill your cat's litter box.  You provide the Kitty litter – we "doo" the work! We send 1, 2 or maybe 3 professional, uniformed service providers who will pick up all waste, take it away, and triple-check your yard. After 20 years in this business, we know what a dog(s) can do over a winter’s season. Scoopy Doo realizes that every yard and winter season can be different. The prices listed on this page are not cut in stone…they are “guestimates”. We very often go below our “guestimates” and will never go over without the customer’s approval. Every year, we have hundreds of returning customers because of our fair and honest pricing. The disinfection service starts at $20 and is based on the size of the area that needs to be disinfected. We would be more than happy to give you a free estimate on a one-time cleanup or vacation service. Just call us 204-955-5406 or 1-844-726-6793.